Qualcomm Technologies has announced the launch of its latest smart cities accelerator program – with a particular focus on community. 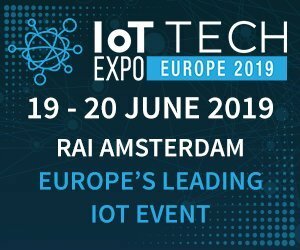 By IoT News, 23 April 2019, 0 comments. Categories: Data & Analytics, Development, IoT, Smart Cities. A new report has argued that while smart payment technologies have shown ‘substantial’ growth, ‘significant’ security concerns remain for consumers. 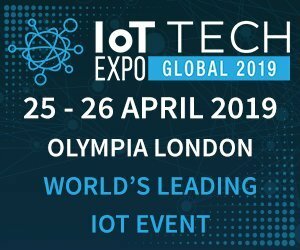 By IoT News, 17 April 2019, 0 comments. Categories: Data & Analytics, IoT, Wearables. Global semiconductor revenue increased by 12.5% year on year to £362.9 billion in 2018 compared to the previous year, according to a new study from Gartner. The report found that 2018 growth was weaker compared with 2017, which was 21.9%. The reason for this downturn was memory growth decreasing to 24.9%, versus 2017 growth of 61.8%. By IoT News, 11 April 2019, 0 comments. Categories: Data & Analytics, Enterprise, IoT, Standards. Sprint has announced the launch of its new Curiosity IoT Estimation Tool that will let medium and small size business customers as well as enterprise customers, quick access to customised Sprint Curiosity IoT data pricing. The product will also allow users to choose one or multiple features to create custom access point names (APNs), as well as pricing information. By IoT News, 22 March 2019, 0 comments. Categories: Data & Analytics, IoT. By Ilan Reingold, 20 March 2019, 0 comments. Categories: Data & Analytics, Development, IoT. MWC19 IoTium, a provider of software for industrial automation, has had little short of a stunning 12 months. The company has been recognised by both the media – this publication recently named it in its top 25 IoT startups – and industry bodies with a listing in the prestigious GSMA 100 last month the highlight. By James Bourne, 12 March 2019, 0 comments. Categories: Data & Analytics, Development, IIoT, IoT, Manufacturing, Oil & Gas. US-based Cyxtera Technologies has released new research which has revealed that IoT devices are continuously being attacked, particularly those leveraging zero-day vulnerabilities for certain devices. 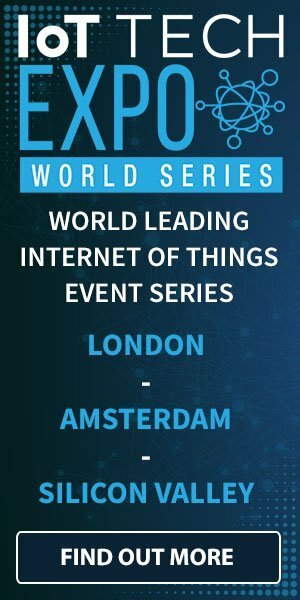 By IoT News, 06 March 2019, 0 comments. Categories: Data & Analytics, IoT, Security. BT has secured a contract with Northumbrian Water to supply a low power IoT network which can boost efficiency through improved operational insights. Approximately 150 sensors will be deployed across the network and will monitor things such as water flow, quality, and pressure. These sensors will be connected via a LoRaWAN (low power, long range, wide area network) and feed back data to BT’s IoT platform. By Ryan Daws, 05 March 2019, 0 comments. Categories: Data & Analytics, IIoT, IoT, Smart Cities. We spoke to Ericsson IoT Head Jeff Travers during MWC 2019 about where the industry is heading and how emerging technologies are opening new possibilities. A running theme of this year’s event was how technologies such as the IoT, 5G, AI, and blockchain are converging in powerful ways. Last year was a lot of talk about their potential, this year we’re seeing more actual deployments. By Ryan Daws, 01 March 2019, 0 comments. Categories: AI, Connected Cars, Data & Analytics, Development, Enterprise, IIoT, IoT, Manufacturing, Smart Cities, Smart Homes, Standards. 26,792 startups are relying on IoT as one of their main technologies to launch new products and services and support platform-based business models according to Crunchbase. 78.4% of IoT startups Crunchbase tracks have had two funding rounds or less with seed, angel and early-stage rounds being the most common. IoT startup funding reached $16.7bn in Q4, 2018, with last years’ funding levels 94% over 2017 according to Venture Scanner. By Louis Columbus, 21 February 2019, 1 comment. Categories: AI, Data & Analytics, Enterprise, IIoT, IoT, Manufacturing, Oil & Gas. When driving I’ve often wished fellow road users would improve their skills, but IoT startup GoFar has raised over $1m to help achieve just that. GoFar builds connected car tech. The Sydney-based startup raised more than $200,000 on Kickstarter back in June 2015 and has since expanded to 14 personnel serving thousands of customers across 53 countries. In a funding round led by Right Click Capital, GoFar has now secured $1.3 million to continue its journey. By Ryan Daws, 18 February 2019, 0 comments. Categories: Connected Cars, Data & Analytics, IoT. Glasgow-based intelligent networking and integrated security solutions provider Boston Networks is powering what is claimed to be the UK’s most advanced Internet of Things network, called IoT Scotland. By IoT News, 18 February 2019, 0 comments. Categories: Data & Analytics, IoT, Smart Cities. The recently published IDC Worldwide Semiannual Internet of Things Spending Guide has predicted that the Asia Pacific region, excluding Japan (APEJ), will spend around 36.9% of the worldwide spend, making it the global leader for IoT spending in 2019. Following APEJ will be the US and Western Europe with 26.1% of the WW IoT spend in 2019, respectively. By IoT News, 14 February 2019, 0 comments. Categories: Data & Analytics, Development, IoT, Standards. 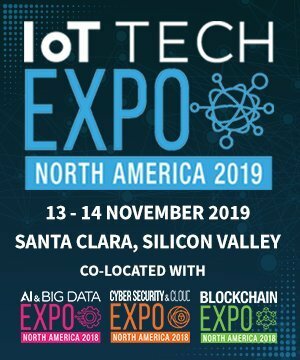 San Francisco-based tech firm InfluxData has announced that it will be integrating its technology with VMware’s IoT infrastructure management solution -- the Pulse IoT Centre, which embeds InfluxData’s InfluxDB Enterprise and Kapacitor. By IoT News, 11 February 2019, 0 comments. Categories: Data & Analytics, Enterprise, IoT. Sponsored It goes without saying that the ongoing fourth industrial revolution, or Industry 4.0, will be a vital theme in 2019. Increasingly, as various industries mature in their thinking and outlook towards the Internet of Things, budgets are looking towards a confluence of emerging technologies and – deployed in concert – how they can drive greater efficiencies in the industrial sector. By IoT News, 05 February 2019, 0 comments. Categories: Data & Analytics, Development, Enterprise, IIoT, IoT. Extreme Networks, a California-based network equipment supplier, has launched Defender for IoT, which aims to help organisations secure edge and IoT devices. By IoT News, 05 February 2019, 0 comments. Categories: Data & Analytics, IoT, Security, Standards. Ericsson is empowering service providers across multiple industries to address a larger part of the IoT market with the help of its newly introduced next-generation cellular solutions. These solutions will help proliferation of the cellular IoT evolution in what Ericsson sees as four market segments: broadband IoT, industrial automation IoT, massive IoT, and critical IoT. By IoT News, 04 February 2019, 0 comments. Categories: Data & Analytics, IoT. The Port of Rotterdam is ready to go with its Internet of Things (IoT) platform, with the announcement that the first application for a hydro/meteo has been put into operation. By IoT News, 04 February 2019, 0 comments. Categories: Data & Analytics, Enterprise, IoT.